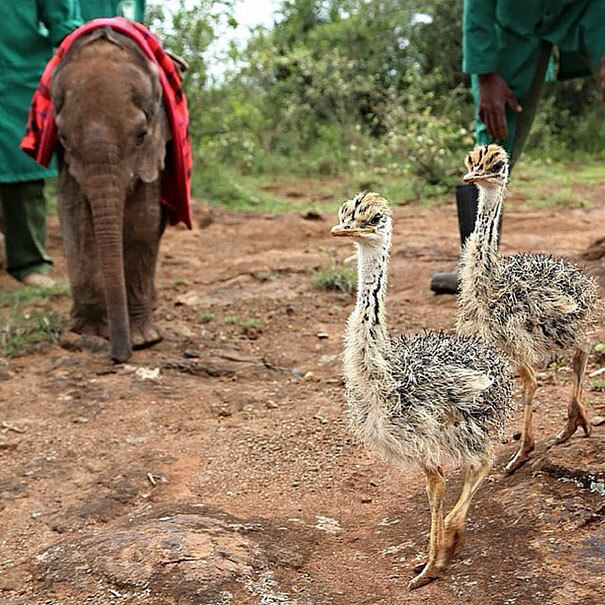 They say friends come in all shapes and sizes… Jotto the baby elephant was just 1-month-old when he fell in the well and separated from his herd. David Shelldrick Wildlife Trust (DSWT) took him to an elephant orphanage in Kenya where he could heal until he was ready to go back to the wild. 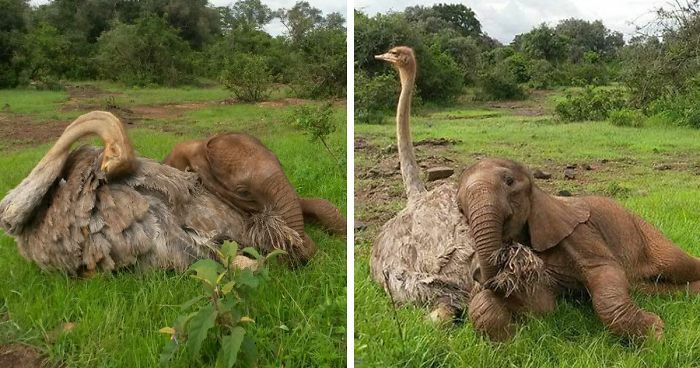 Little did the rescuers know that even though there were plenty of elephants at the shelter, Jotto will become BFF with… an ostrich named Pea! 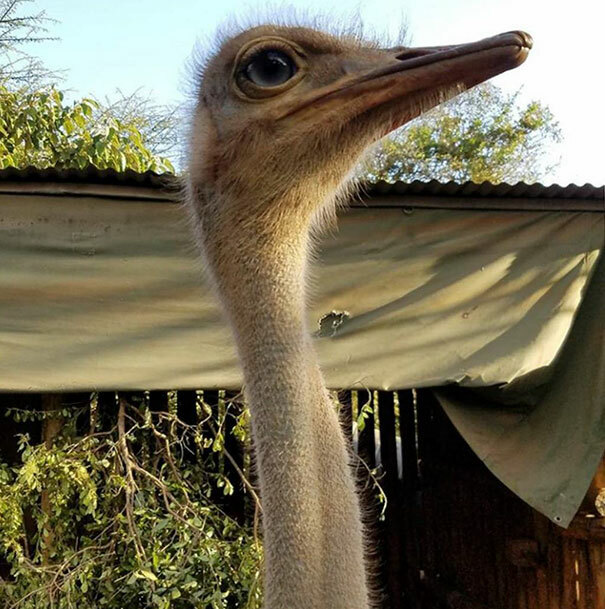 Pea was rescued back in 2014, when the staff went to save a baby elephant and found the birdie and her ostrich brother Pod in need of help, too. They were taken to the elephant shelter. Pod has returned to the wild and joined wild ostrichs, but Pea is staying with the elephants, feeling completely at home. 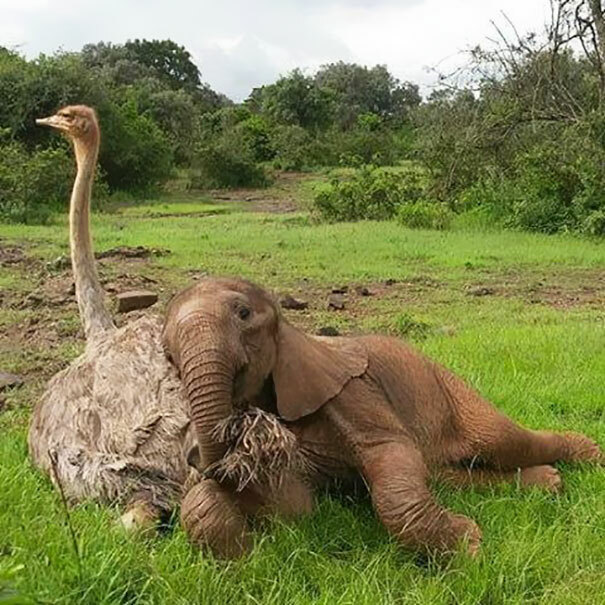 unlikely friendship. love this stories! If you're looking for a worthy charity to support then please, please, please choose the DSWT. 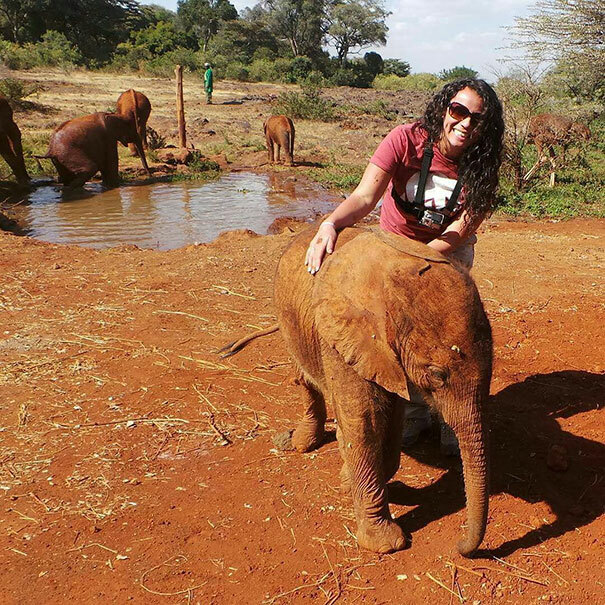 I was fortunate enough to visit their orphanage in Nairobi and they do amazing work!